Dermal Royal Jelly Collagen Essence Mask contains Royal Jelly which is a honey bee secretion that is used to nourish larvae and the adult queen bees. 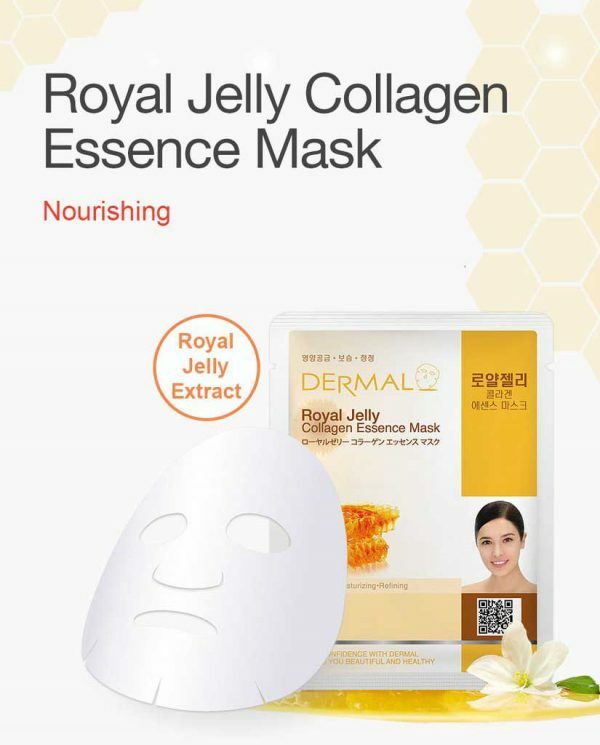 Royal Jelly contains vitamins, amino acids, fatty acids, minerals, enzymes & natural antibiotic properties. It is having anti-ageing effect it increases the cell regeneration & retains the youthful skin. 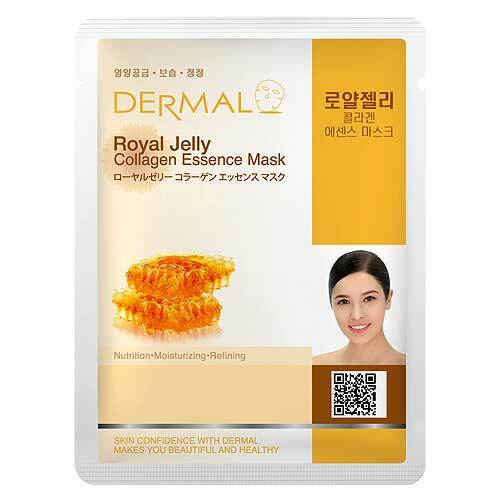 Dermal Royal Jelly Collagen Essence Mask is a pure essence facial mask which is specially formulated with highly concentrated active ingredients that penetrate the skin effectively to deliver essential nutrients. 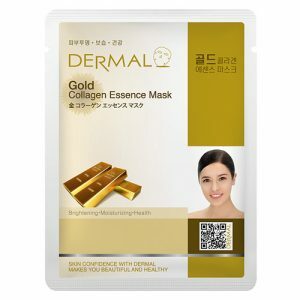 The antioxidants present in the masks protect the skin from the harmful effects of the free radicals and reverse the appearance of wrinkles and dark spots lighten the skin tone keep it moist & bright. It has made a significant difference to my skin in first use itself. Loving it.in just one use the skin is much softer and happier! there is a pretty glow and and the skin feels amazing. 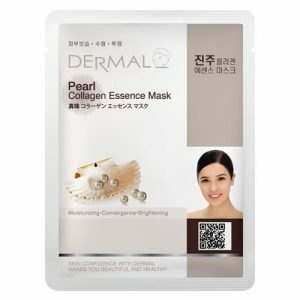 The best mask, It softens the skin and cleanses the face neatly. and brings glow. I loved this mask. It made my skin so soft and bouncy. Made my skin glow. I brought four varients and they are amazing and hydrates my skin. Glowy and fresh. Loving them. 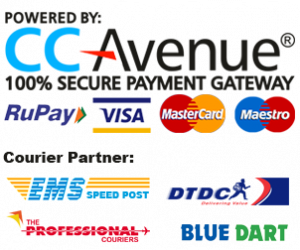 I have used this product and it’s amazing. 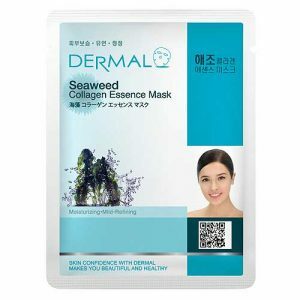 Leaves moisture and makes the skin soft. It gives a good glow to the skin. It’s very helpful to me and It makes our skin very smooth. It deeply nourishes and moisturizes the skin. Gives younger looking complexion. I am in love with this product. Go for it girls. 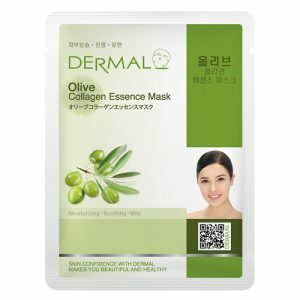 Dermal Olive Collagen Essence Mask contains three major antioxidants: vitamin E, polyphenols, and phytosterols & skin essential nutrients. 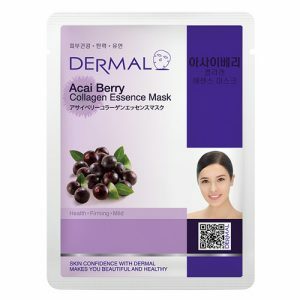 The antioxidants present in the mask protect the skin from the harmful effects of the free radicals and reverse the appearance of wrinkles and dark spots lighten the skin tone keep it moist & bright.